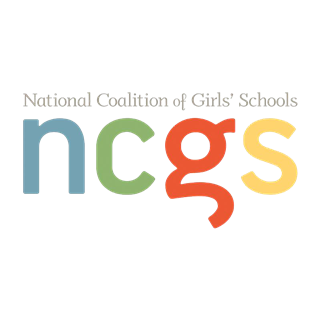 Congratulations to Kara Greger, Margie Lodes, Emma Mueller and Mrs. Katie Lodes for their successful presentations at the American Geophysical Union’s Fall Conference in D.C. 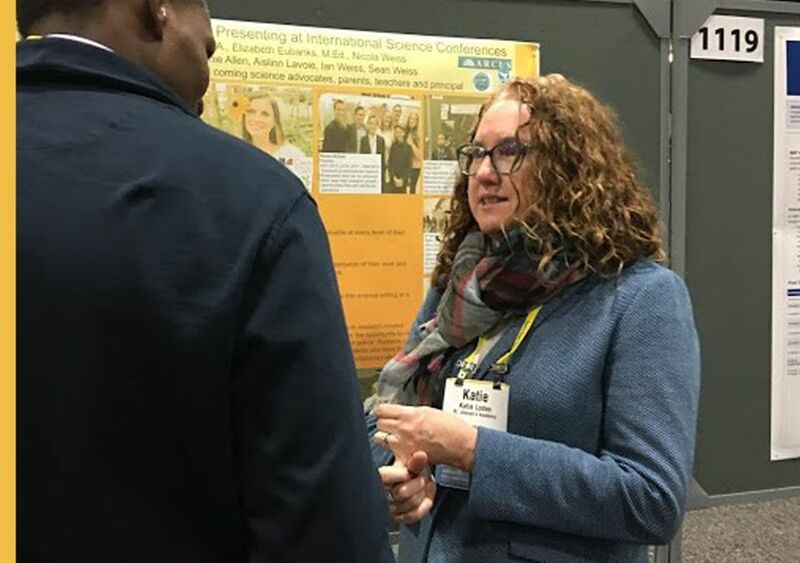 They were outstanding as they presented the results of their research during the poster sessions at this international conference which was attended by 28,000 scientists, researchers, educators and students. 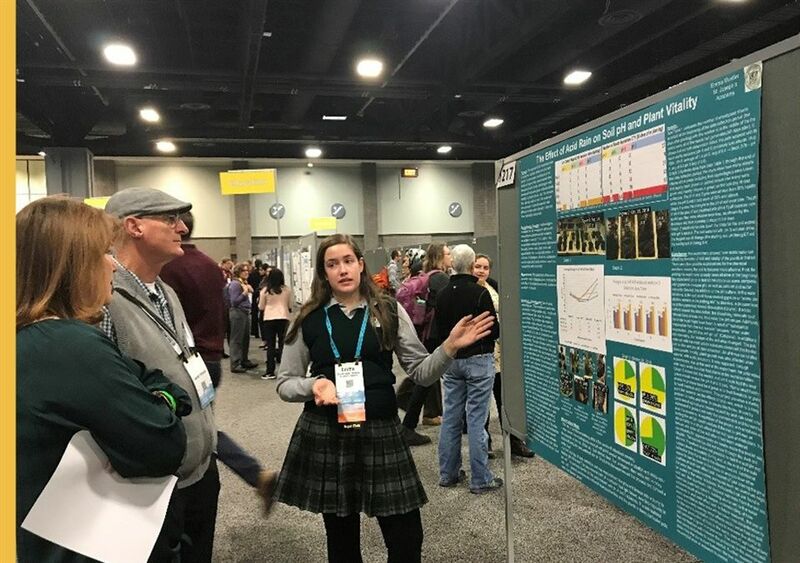 Kara Greger ’20 presented her research on millet root growth, Seeking Hidden Treasures Belowground: Characterizing Root System Architectural Traits for Select Mutant Families of the C4 Model Plant Green Foxtail Millet (Setaria viridis). 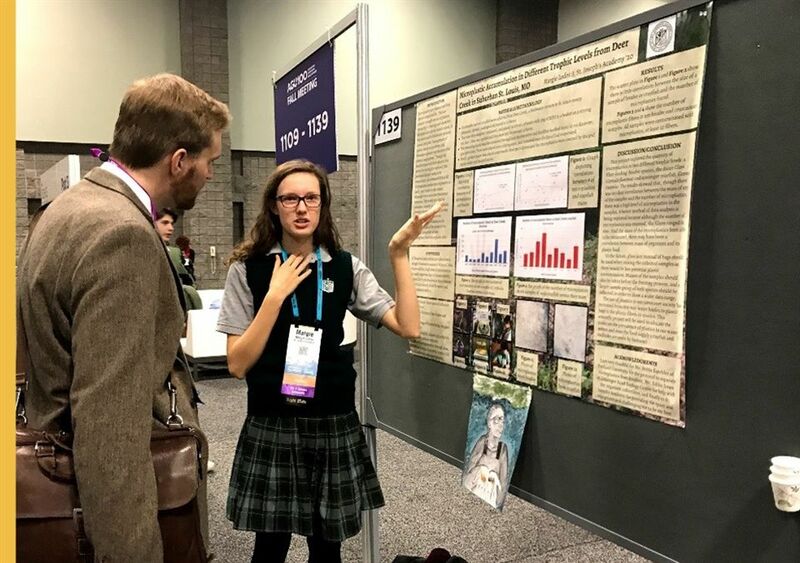 Margie Lodes’ 20 presented her research, Analysis of the Movement of Microplastics through Trophic Levels in Freshwater Ecosystem. 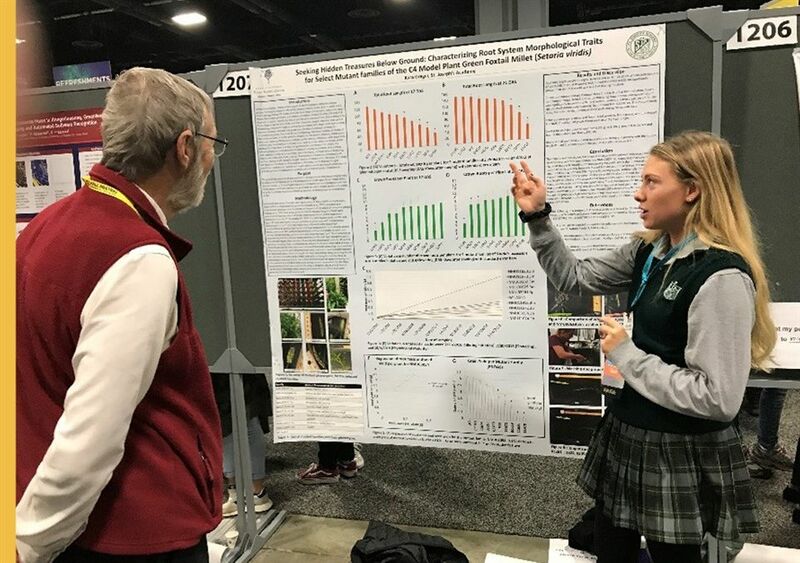 Emma Mueller ’20 presented her research, The Effect of Acid Rain on Soil Nutrient Levels and Plant Growth. Mrs. Katie Lodes participated in the presentation of Benefits of Youth Presenting at International Conferences. 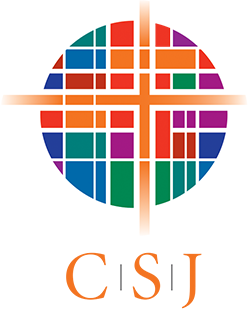 This is the fourth group of students which Mrs. Lodes has mentored, encouraged and taken to international conferences. Thank you, Mrs. Lodes, for providing this opportunity to our students!